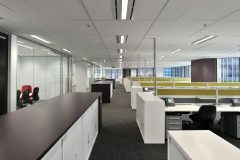 Specialising in office fit-outs and building refurbishments, Harris Mackay has established itself as a company with a difference. What sets Harris Mackay apart from other companies is their dedication to excellence. Their philosophy is simply: ‘we can’. There is no project too big, too small or too complex. This “can do” philosophy, coupled with a professional, dedicated team and network of like-minded partners, means all of Harris Mackay’s projects are delivered seamlessly from concept through to completion. Harris Mackay’s commitment to excellence is formally recognised with not one, but four, ISO accreditations proving that quality and safety are at the forefront of everything they do. 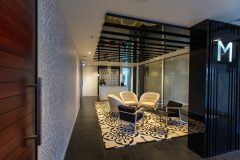 Their office fit-outs range from traditional corporate-styles to offices with bright and colourful, funky designs while their building refurbishments are always sleek and professional. Whatever the project, Harris Mackay will ensure they successfully make their clients’ visions a reality. LGBT Media & Marketing specialise in connecting the gay and lesbian community to businesses through digital, social, direct and print media. Their consultancy can offer you a strong insight into the LGBT community and help you to structure a marketing strategy to reach the pink dollar and to build your brand within our diverse community. The Sydney Gay & Lesbian Business Association Incorporated (SGLBA) is a not-for-profit organisation dedicated to the professional support and development of members of the LGBTQI community throughout Sydney. 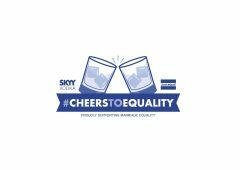 They aim to increase corporate and individual business opportunities for their members through regular networking business and social events and the promotion of gays and lesbians in the wider business community.